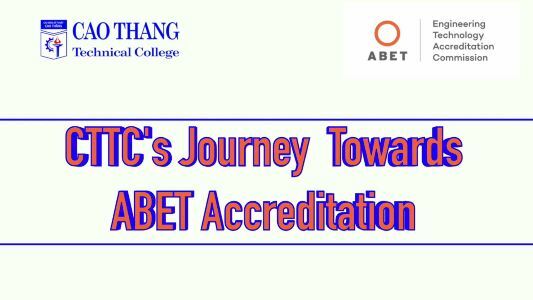 The Technical Female Scholarship is an annual scholarship program under the framework of HEEAP. 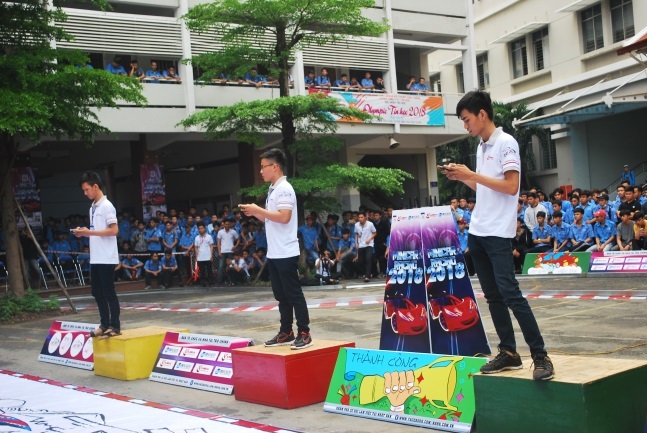 Over the past six years from 2012 to 2017, the program has presented 654 scholarships worth VND6.5 million each to female students in HCMC and neighboring provinces. 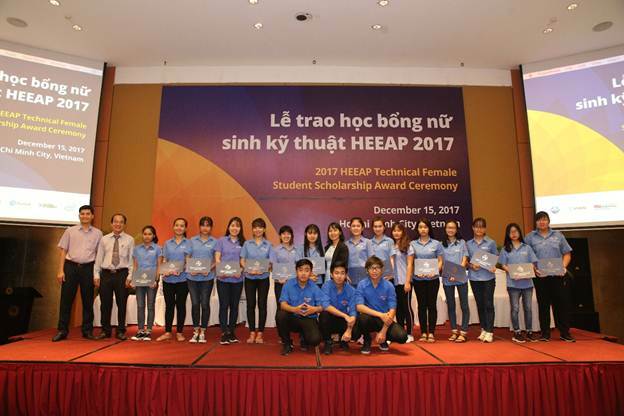 The scholarship program demonstrates Intel Products Vietnam’s vison and responsibility to raise social awareness and support women to pursue engineering and technology programs, says Jeffrey S. Goss, director of HEEAP. 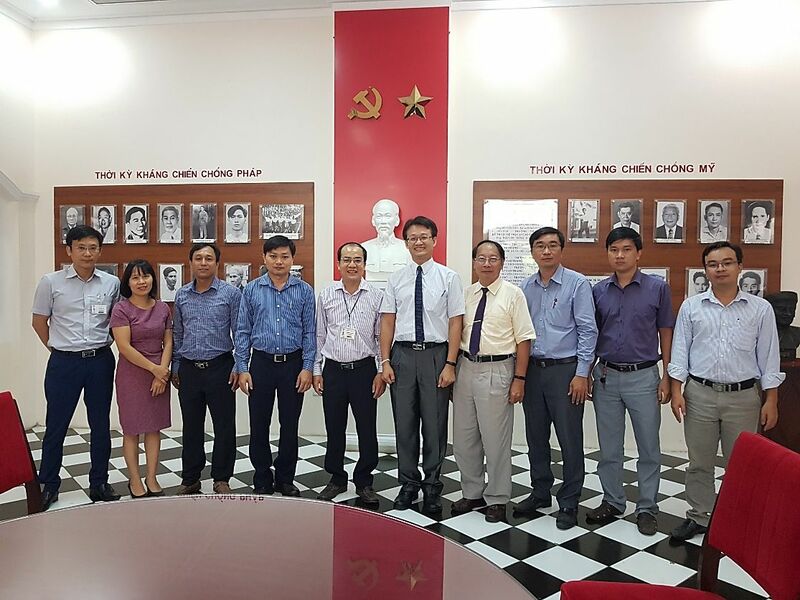 Representatives of Cao Thang Technical College and female students received scholarships take souvenir picture. 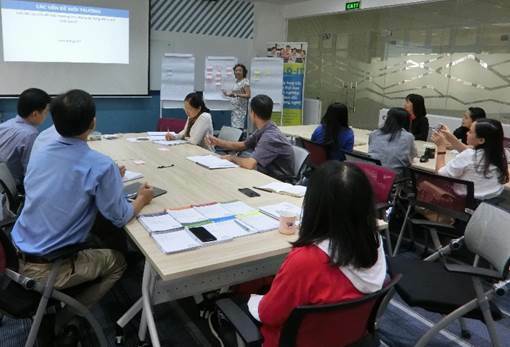 Ho Uyen, public affair Director of Intel Products Vietnam & Malaysia, said that promoting educational opportunities for young girls and building women’s capacity are one of the focus areas of education development and social responsibilities of Intel. 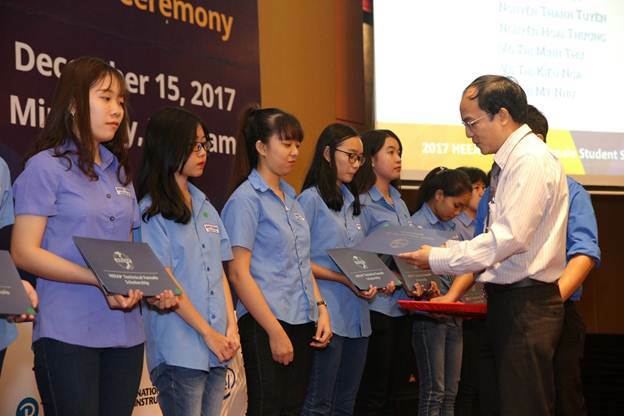 This is the sixth year in a row that Intel has handed over scholarships to technical female students with the goal to increase opportunities for female students to develop their capabilities in the fields that they pursue. 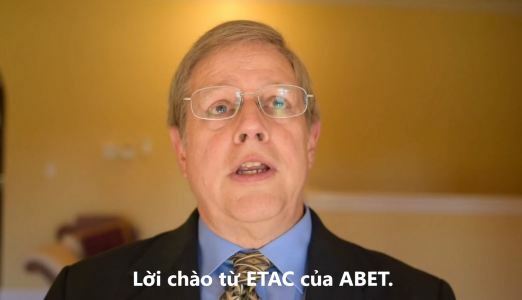 HEEAP was initiated in 2010 through a 3-way partnership between the United States Agency for International Development (USAID), Intel Corporation and Arizona State University (ASU) to provide high-quality, work-ready graduates and improve Vietnam’s competitiveness in high-technology industries.